Stylized yet unmistakable, this diamond-studded cat pendant is an instant charmer. 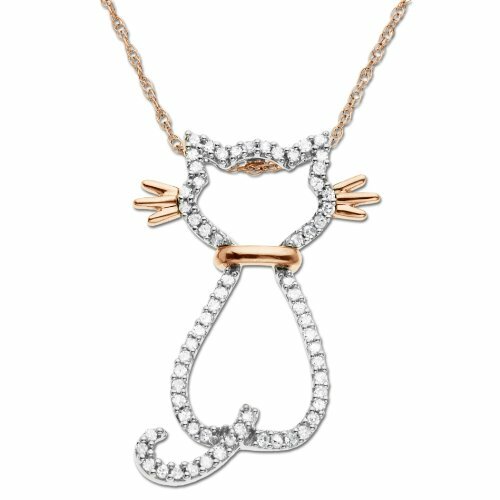 Sixty-five round diamonds, with a total weight of 1/5 carat, are prong set in 14 karat rose gold to outline the cat's head, body, and gracefully curved tail. A rose-gold collar and whiskers complete the poised look. A beautiful gift for cat lovers, this pendant is featured on a slender gold rope chain that's finished with a spring ring clasp.